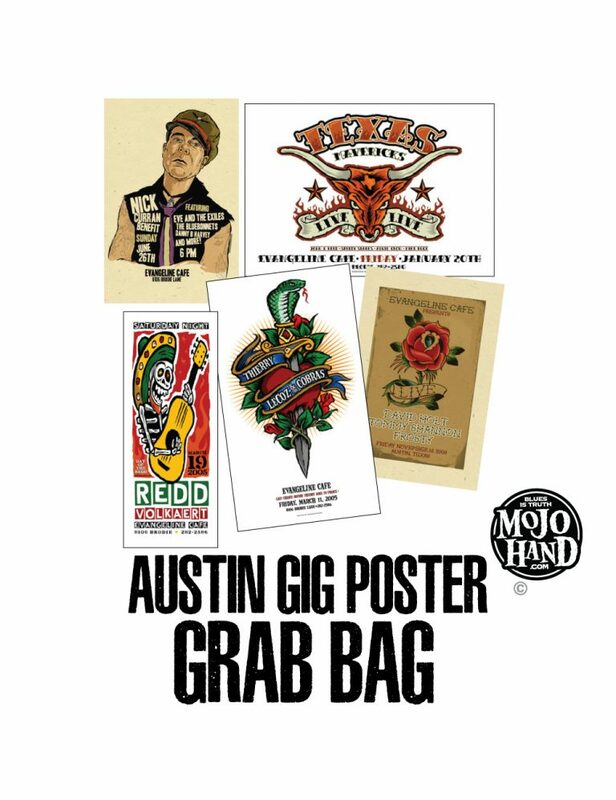 Grego will select 6 random Evangeline Gig Posters…. who knows what you might get! Digitally printed on speckle tone cardstock. Authentic Gig Posters from the world famous Evangeline Cafe in Austin, TX. Ships Worldwide. Signed in Pencil by the Artist, Grego Anderson.